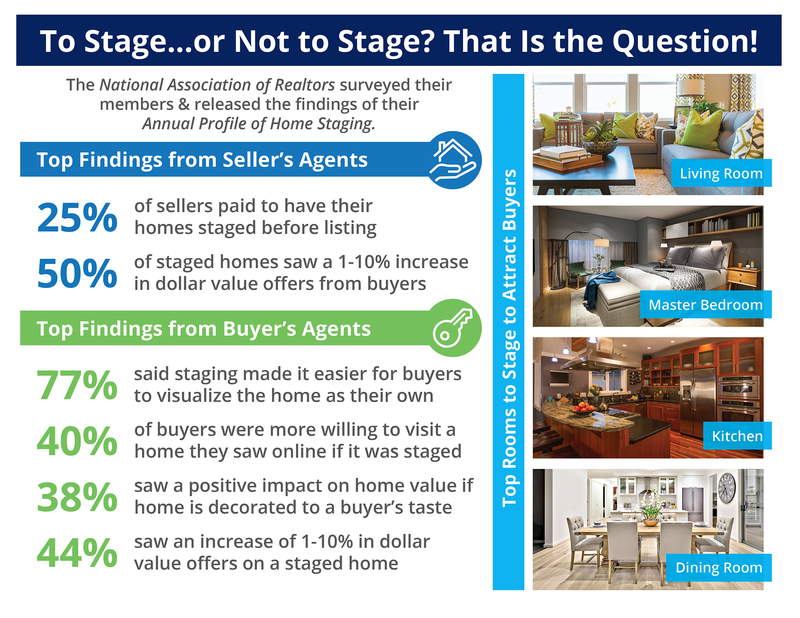 The National Association of Realtors surveyed their members & released the findings of their Annual Profile of Home Staging. 50% of staged homes saw a 1-10% increase in dollar value offers from buyers. 77% of buyer’s agents said staging made it easier for buyers to visualize the home as their own. The top rooms to stage in order to attract more buyers are the living room, master bedroom, kitchen, and dining room.